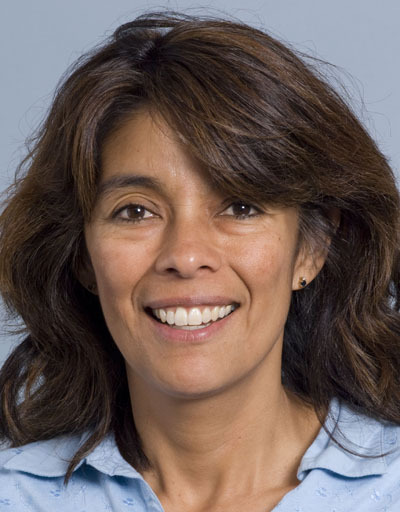 Congratulations: Monica Aleman, MVZ Cert., PhD, Dipl. ACVIM, is the 2012 recipient of the Annual Residents’ Award from the American Association of Veterinary Clinicians. The award is presented annually by the organization to only two individuals who have achieved a high degree of excellence in their chosen specialties. Aleman is a third-year resident in neurology/neurosurgery at the William R. Pritchard Veterinary Medical Teaching Hospital. The hospital’s director, W. David Wilson, nominated Aleman on the basis of her in-depth knowledge and interest in neuromuscular diseases of horses; research productivity; client communication; and outstanding teaching of veterinary students. Aleman earned the MVZ, (Médico Veterinario Zootécnista -- equivalent to the DVM degree), from the National Autonomous University of Mexico, Mexico City, in 1991. Aleman completed residencies in equine internal medicine and large animal internal medicine at UC Davis School of Veterinary Medicine. She became involved in clinical and research projects related to equine malignant hyperthermia, a genetic problem in which susceptible horses may fatally react to certain types of anesthesia. She earned her PhD in 2004 in comparative pathology based on a thesis project to evaluate the genetic basis for equine malignant hyperthermia. Before pursuing her most recent residency, Aleman served as director of the Neuromuscular Disease Laboratory, providing diagnostic interpretation of muscle and nerve biopsies from animal species and processing immunohistochemical samples from animals and humans.